Some of our readers will remember the fun Star Wars Lightsaber iPhone app, that turns your iPhone into a Lightsaber. 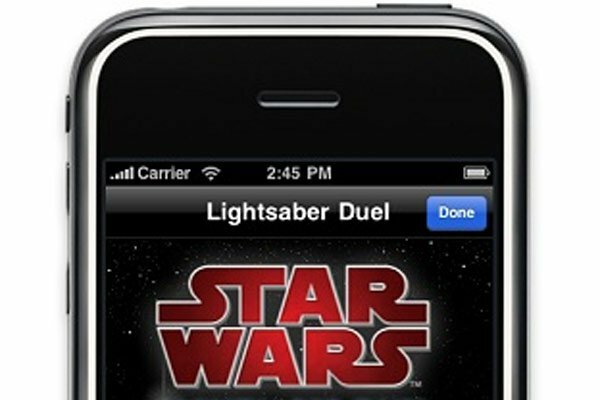 It looks like THQ Wireless will be releasing a new version next month called the Star Wars Lightsaber Duel iPhone App. As the name suggests, the app will turn your iPhone into a lightsaber and then you with be able to duel with your friends via Bluetooth. The new game will feature eleven Star Wars characters, and you will also be able to make your own custom characters. The game is due for release sometime next month, as soon as we get some more details we will let you guys know.